Target doctors & healthcare professionals providing medical services to consumers! In the United States, medical related spending is a healthy portion of our national economy – after all, everyone needs and receives professional healthcare services from a doctor at one time or another in their lives. With our premium targeted medical mailing lists, ProMarketing Leads is ready to help target physicians of all specialties, along with other healthcare related professionals for individual and B2B prospecting too. 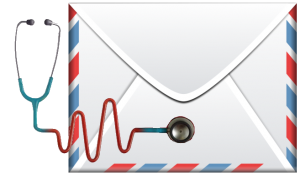 What Makes Medical Mailing Lists Effective? The thousands of customized medical mailing lists we have exclusive access to can be directed at the exacting doctor demographics of your choice. Whether you represent a pharmaceutical company prospecting by illness specialty or a healthcare provider targeting by geographical location, ProMarketing Leads can develop the list of medical professionals you need. Our data is designed to connect you with the right expert medical physician or healthcare professional most likely to benefit from your product or niche specialty. What Types Of Medical Mailing Lists Do We Provide? A savvy choice for all direct marketing, telemarketing, and mailings (along with other practical results oriented marketing campaigns), our medical mailing lists, targeting doctors and other healthcare professionals, leads the industry in both conversion rates and detailed accuracy. Plus, ProMarketing Leads consultants are just a quick phone call away when it comes to helping you custom-build any specialty medical list required. We’re ready to help you acquire the best medical mailing lists available today. Learn more about how our company can help you target doctors and healthcare professionals today by calling (866) 397-2772, or contact a contact a friendly service rep for more information!